Hailed as "The Gem of the Mountains," The Fernstone Retreat is an award winning wedding venue and mountain retreat, serving as the crowning glory of the Laurel Highlands for decades.Built in 1940 by prominent local businessman James Hankins, Fernstone Retreat is nestled on 450 lush private acres, sleeps 35 guests, has an onsite waterfall, hand timbered Oak Pavilion seating up to 250, newly added bridal treehouse, miles of hiking trails, wooden bridge, 2 stocked fishing ponds, pool, hot tub, rustic and whimsical lanterns adorning the property, and more. The Fernstone can host 600+ guests for a wedding held on property. 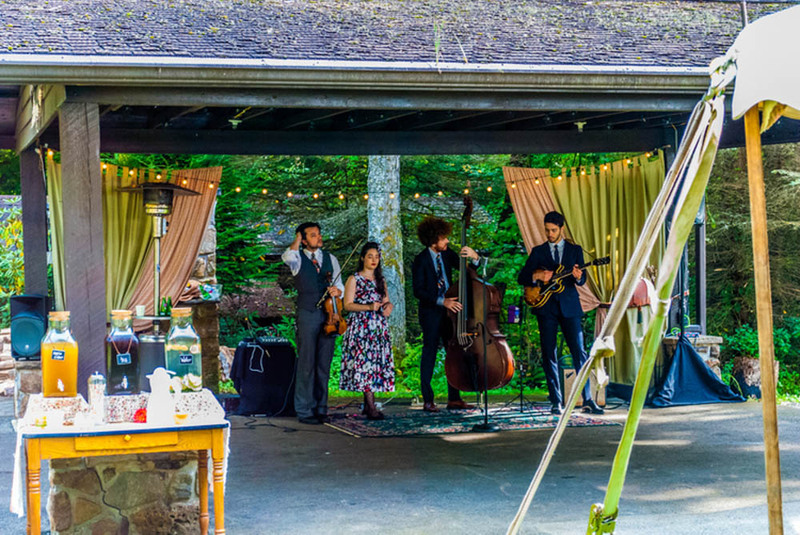 In addition to the gorgeous weddings that are featured at the Fernstone Retreat, Fernstone has hosted regional business owners and dignitaries alike, including 2 US Presidents, Dwight D. Eisenhower and Richard Nixon. Today Fernstone Retreat serves as the premier destination for weddings, family reunions, corporate retreats and much more in the Laurel Highlands. The Fernstone Retreat was selected by The Knot as a feature in their "Best of 2015" magazine. Why host your wedding at a typical venue? The Fernstone Retreat sleeps 35 on property, has an onsite waterfall, Oak Pavilion that seats 250+, lit wooden bridge, 2 stocked fishing ponds, hot tub and pool, hiking trails, whimsical lanterns that line the trails around property, and more! Being at The Fernstone Retreat feels like a magical world away. 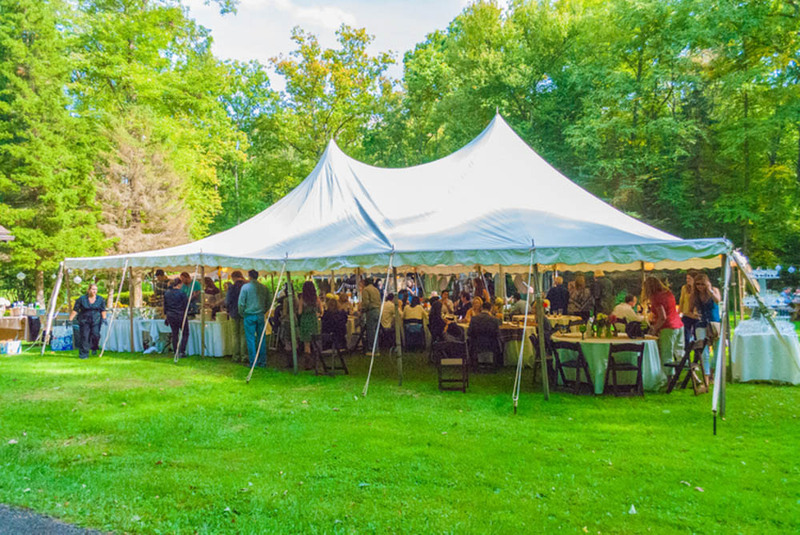 Unlike any other venue or retreat in Pennsylvania, The Fernstone Retreat hosts a range of events, from casual BBQ weddings to black tie weddings and events. 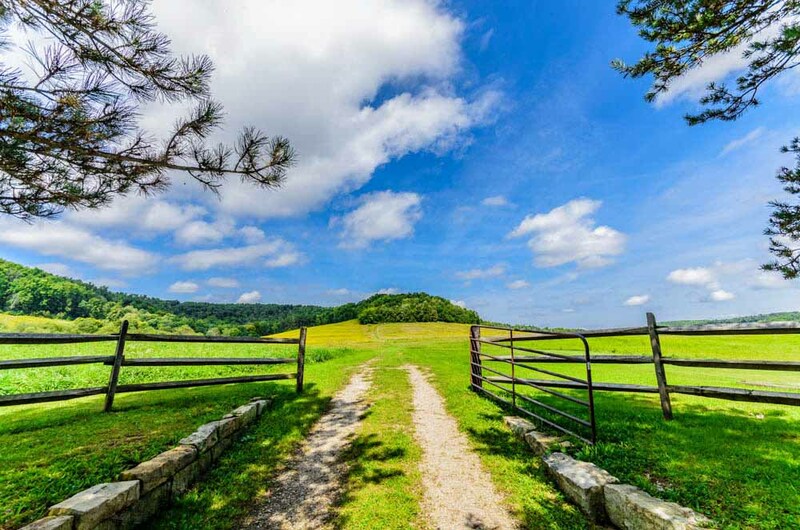 When you can enjoy the splendor and intimacy that 450 acres of lush mountain property provides, why settle for anything less? We know your story is a special one and we would be honored to be a part of your next chapter and help make your wedding dreams a reality! Whether you are planning a reunion, hosting a religious retreat for your church, or your company needs a relaxing corporate getaway - Fernstone Retreat is the perfect place for your event. 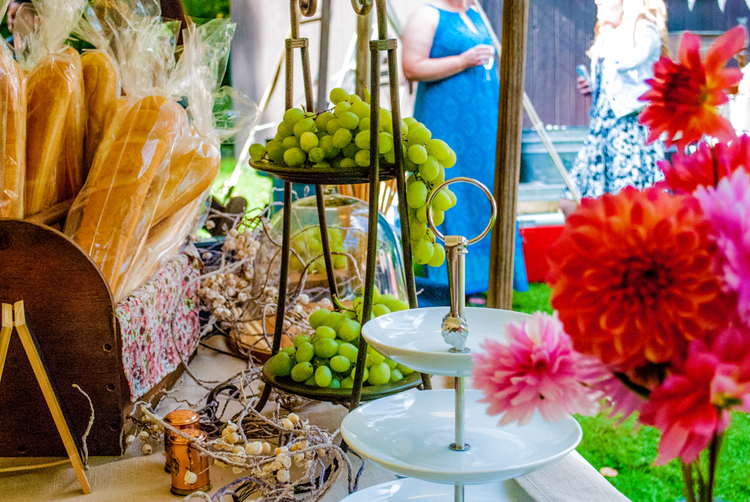 Combine our property with amazing food, drinks and people and you have a recipe for an event to remember! Your mountain sanctuary is waiting.